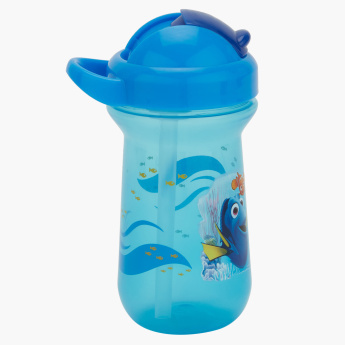 The First Years Finding Dory Printed Flip Top Bottle - 295 ml | Multicolour | Offers your little one the same fun experience as a Sippy Cup but has the safe option of an easy to use straw. Save SAR 0 (0%) Earn 14 Shukrans What is Shukran? Shukran is the Landmark Group’s award-winning loyalty programme in the Middle East, which allows you to earn Shukrans when you shop any of our brands. 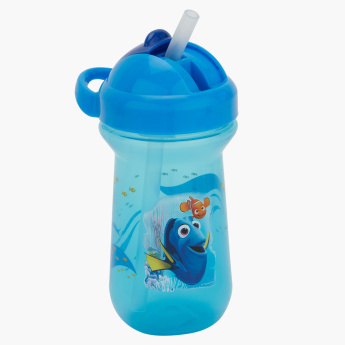 Let your kid sip on water and stay hydrated all day with this flip-top bottle with a straw. The print of Finding Dory will surely fetch compliments from her friends. 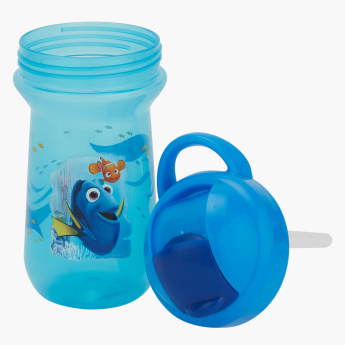 Feature 1 : Offers your little one the same fun experience as a Sippy Cup but has the safe option of an easy to use straw. Feature 3 : Ideal solution for thirsty toddlers or pre-schoolers. Feature 2 : Double wall insulation will ensure your drinks are kept cooler, longer. A sweat-proof surface for those nervous new drinkers, makes it easy to grip avoiding any unnecessary spills.